Fighting for the best results possible. No one wants to have to hire a lawyer who does the kind of work we do. No one chooses to suffer a loss that leaves his or her family searching for justice. Nevertheless, such situations occur. When they do, turn to Crawford & Brown Law Firm LLP. We help people and businesses in Columbus and throughout the surrounding areas who have been harmed because of others' careless conduct. We regularly represent individuals injured due to car crashes and the negligence of motor vehicle operators. Our success is due to taking cases to court. To confront a powerful business or insurance company in any civil litigation case, you need an advocate and counselor who knows how to build a strong case and bring it to a successful conclusion, while still providing the personal attention you deserve. Our Columbus personal injury lawyers can provide this level of representation. Because of our firm's success in pursuing cases in the courtroom, we are often able to obtain settlements for clients well in advance of trial or even before filing suit. Contact Our Award-Winning Firm Today to Learn How We Can Help You During a Free, No-Obligation Consultation. If you have been seriously injured due to the carelessness of someone else, it is important to make sure that your legal rights are protected. At Crawford & Brown Law Firm LLP, we are here to do just that. 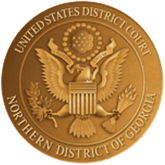 We represent clients in Columbus, Atlanta, and throughout Georgia and Alabama, working to recover maximum compensation in every case we take on. We have also handled cases, including claims for product liability, in more than two dozen other states. Let us help you, too. It costs you nothing to get started because your initial consultation is absolutely free. We get paid only if we are successful for you. Learn More About Our Past Successes, Including Our Multimillion-Dollar Cash Settlements, By Visiting Our Verdicts & Settlements Page. We represented a hard-working heating-and-air contractor who suffered a herniated disc in a low-impact collision of less than 5 miles per hour. The defense claimed that our client’s morbid obesity was the cause of his problems, but our firm did not give in and instead tracked down witnesses to help prove the wreck caused the injuries. Our lawyers tracked down a pivotal scene-witness who had moved to Okinawa, Japan from Columbus, Georgia since the time of the wreck. We obtained the entire liability insurance coverage and under insured motorist coverage for our client injured in a car wreck in Phenix City, Alabama. Our firm provided the insurance company for an at-fault driver with a policy limits demand within days of being retained by our client. The insurance company tendered its policy limits promptly in response, which provided our client the funds needed to help move forward with recovery. Jury verdict and payment in full. The insurance company had offered less than 10 percent of this amount in advance of trial, and our lawyers refused to accept less than a fair amount to resolve our client’s claims. The jury’s verdict was paid in full which allowed our client to receive funds helpful to moving forward with life. in combined settlements for mistreatment of patients in assisted care homes. Our client sustained physical trauma that was relatively unnoticeable, but the client was diagnosed with chronic regional pain syndrome as a result of the trauma. We ushered testimony to help prove our client’s claims, which led to a settlement of $650,000 with the insurance company in advance of trial. We represented the parents of an underage child who was served alcoholic beverages and then died in a motor vehicle accident. 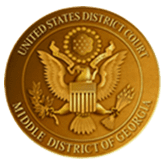 Our firm pursued claims under a Georgia statute that provides a right of action to a parent whose child is furnished alcohol without the parent’s consent, which led to a settlement with the insurance companies for the persons who served the minor child. From your very first meeting, our attorneys will work to help you obtain the maximum amount of compensation you are entitled to. We interview witnesses immediately so we can learn everything important before the insurance company’s lawyers start working against your interests. We also hire any necessary experts, such as accident reconstruction professionals, to gather and develop evidence. We will explore all sources of potential insurance coverage in your case. We will also carefully assess how to go after that coverage to maximize the money you receive. 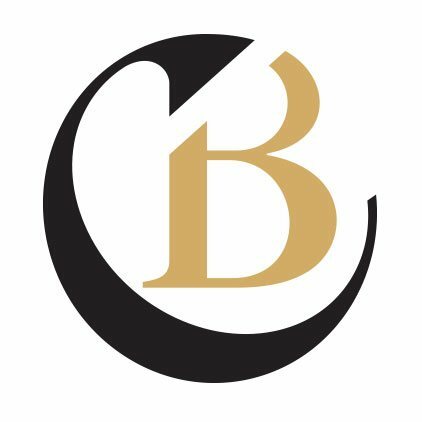 If you have been involved in any type of accident, turn to the dedicated Columbus personal injury lawyers at Crawford & Brown Law Firm LLP. We represent clients in Columbus, Atlanta, and throughout Georgia and the Southeast. Our attorneys are experienced in handling accident cases that involve catastrophic loss such as a brain injury or paralysis. We are also skilled in cases involving injuries that are less dramatic, but that still affect people's lives on a day-to-day basis, such as knee injuries. 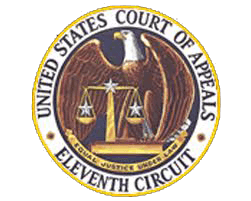 Achieved over $107 Million in verdicts and settlements for our clients.